Elon Musk’s product announcements are usually met with a mixture of wonderment and skepticism, but his latest plan raised more eyebrows than usual. And that’s saying something for a man who wants to send humans to Mars. Last week, Musk had unveiled a plan to dig tunnels under cities to help beat their traffic woes. Cars would be lowered into these tunnels via shafts, and once below the surface, they will be carried on electric-run skates at 200 kmph. Once they reach their destinations, they’ll again be raised onto roads, only to carry on as usual. Reactions to this plan were understandably mixed. Some people said that the plan was infeasible because digging tunnels would be too expensive. Others have pointed out that the plan didn’t account for natural disasters like earthquakes, which could cause the entire tunnel system to collapse. And yet others said that Musk is going in the wrong direction — the future is up not down, in flying cars. Musk has now come out and addressed several concerns. His chief argument for building these tunnels is this — traffic exists because humans have built up vertically via tall buildings, which are 3D, while the area on which they travel — roads — has remained 2D. This makes large numbers of humans concentrated in a small area, leading to congestion. Musk’s solution is to make the traveling area 3D too. And he feels that can be done by going below the ground. What’s critical to his plan, he says, is that there’s no limit to the levels of tunnels that can be dug. “You can go much deeper than you can go up. The deepest mines are much deeper than the tallest buildings are tall”. 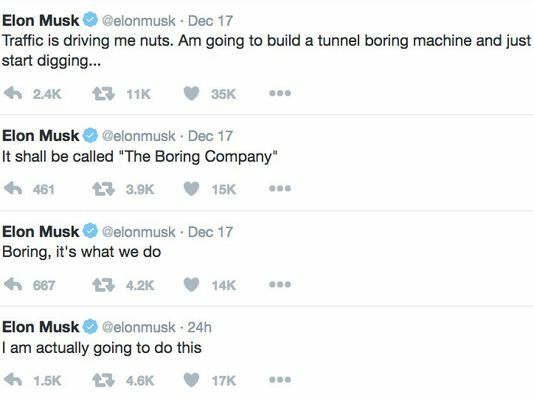 Musk says that Boring Company – that’s what he’s chosen to call the venture – has the costs figured out as well. Traditional subway systems can be exorbitantly expensive to build, with costs going up to a billion dollars (Rs. 6,500 crore) a mile. For his system to be feasible, Musk will need to have at least a ten-fold reduction in the cost. He plans to do this by cutting the tunnel diameter by a factor of two. Since his tunnels will have only one lane and have guided electric skates, there’s no need for additional space on the sides for emergency vehicles or car exhaust. Musk’s tunnels will be around 12 feet in diameter, compared to 28 feet for traditional tunnels. A two-fold decrease in diameter will mean a four-fold decrease in tunnel cross sectional area, and tunneling costs scale with the cross sectional area of the tunnel being dug. This improvement alone will account for a near four-fold cut in tunneling costs, he says. It doesn’t stop there. Musk says traditional tunneling machines dig for half the time, and the other half is spent in reinforcing the tunnel wall they’ve already dug. “If you design a machine that’ll do continuous tunneling and reinforcing, that’ll give a factor of two improvement”. Combine that with the improvement on the cross sectional area, and you already have an improvement by a factor of eight. Musk further says that traditional tunneling machines aren’t usually run at full capacity, or their thermal limit. 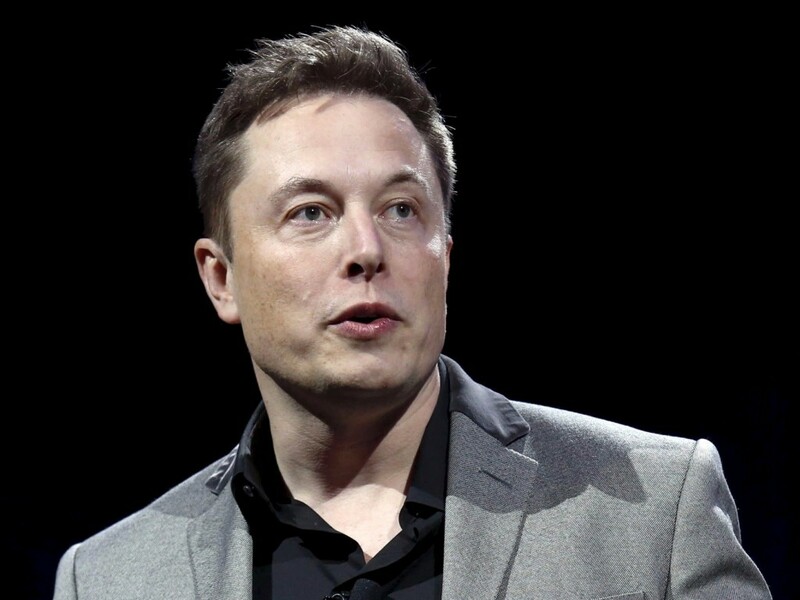 “If you jack up the power to the machine, you can get a factor of two, maybe a factor of four improvement.” Musk feels there’s a “fairly straightforward” series of steps to cut the costs per mile of tunneling by a factor of more than ten. As it turns out, he really is going to do it.